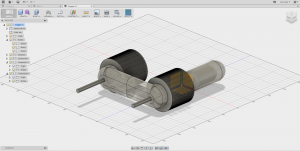 For my semester project I decided to make something that I’ve always been interested in making, but never had the proper resources: a stirling engine. 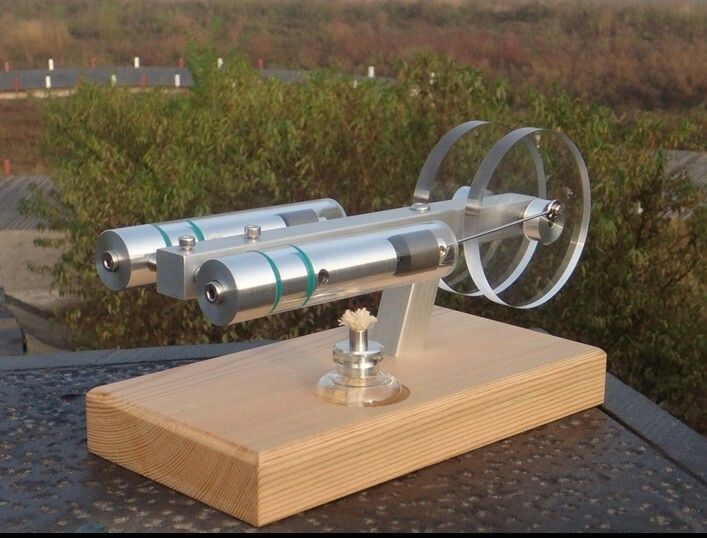 A stirling engine is a engine that draws its power from a heat difference, usually a flame. I won’t go into the physics of it, but here is a nice gif of the process. It’s a relatively simple concept, and there aren’t a lot of complex parts, which makes me think this would be a great project. For obvious reasons, having an open flame creates some design obstacles when it comes to meltable plastic. 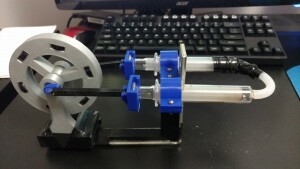 I’ve been doing some research, and to my surprise this isn’t an uncommon thing for people to make with 3D printers and some pretty clever designs use glass medical syringes for the work and displacement pistons. Since it would be very hard to find some airtight seals on parts that must withstand high heat, I think I will be borrowing this idea. With that out of the way, the majority of the rest of the work will be modelling the supports and pieces in fusion 360. Since there will be moving pieces, I will be purchasing some ball bearings and face some design challenges incorporating them into the build. I also need to do a little math to figure out the right displacement and dead volumes for the actual physics of the engine. Overall, I am very excited about the project and hopefully my engine will actually work and not just be a paper weight. As you all know, this week we all took part in the Build A Printer Event in the Bif Atrium. Going into it, I didn’t really have any expectations for the event. I wasn’t excited nor was I really dreading it, I was kinda just “meh” about the whole thing. I’ve put some things together in the past, ranging from simple IKEA furniture to a whole Dark Matter experiment at Fermilab, but a lot of those endeavors were solo operations, I have never built something with a group of people, let alone a class of 30. But honestly, I really enjoyed the event.I worked on putting together the extruder with a couple people for a majority of the event, and once we had finished that we moved on to helping with the Z-stage. There was one point where two of us were hammering away at pieces on the floor to try and make as little noise as possible so that we didn’t distract people studying in the atrium. It must have been a funny sight. We got hung up at a certain point, as we couldn’t find a little wooden piece that we needed. There were supposed to be 4 of these tiny wooden spacers and we could only find 3. So in the spirit of #digitalmaking, we decided to run upstairs to the makerlab and 3D print our piece! 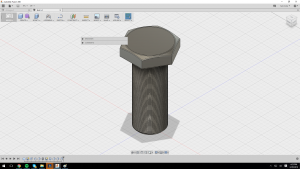 I quickly modeled the piece in Fusion 360 from measurements of the other 3 blocks, and we did a quick 3 minute print of the piece! Unfortunately, I was so wrapped up in the build that I neglected to take pictures, but the piece came out great and should work perfectly in place of the missing piece. The build ran a little long, so a couple of us stayed after to finish up individual sections before packing away the rest of the pieces to be put together later. All in all, it was a great event, and I thoroughly enjoyed it, not to mention got a sweet maker t-shirt out of it. I would definitely say that in addition to the build process, I learned a lot about how the extruder mechanism and FDM printing as a whole work. I Hope someday that I am lucky enough to be able to afford one of these kits for myself, I would love to have 3D printing continue as a hobby after I graduate this may. So this week was the first time ever using a 3D printer for a lot of us. I cant help but be surprised by how easy and intuitive it was. The whole process, from finding exactly the right 3D model on Thingiverse, to importing it in Cura, to starting the print on the actual printer was incredibly user-friendly and not nearly as intimidating as I had imagined it would be. 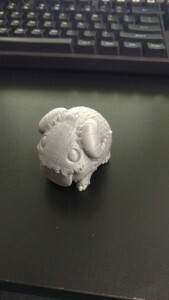 I chose to print a figurine from the video game League of Legends. 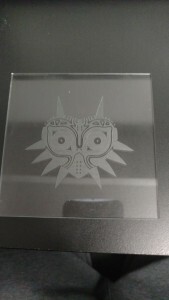 It came out so great that instantly I knew I would be coming to the makerlab all of the time to print out small things for around my apartment. I have already printed out some things for my roommates, and my other friends already have little figurines or gadgets that they want me to print for them. After browsing Thingiverse and Shapeways I have bookmarked a few items for around my apartment that I could definitely see myself taking advantage of. The first is this desk hook from Thingiverse. I have been trying for months to Macgyver a hook to hold my headphones, with little success. I would have to alter the design a little to accommodate the size of the headset, but this is definitely something I can see myself printing. The next is a simple bottle opener. My roommates and I are always talking about how difficult it is to use our bottle opener. So why not 3D print one? I’m not sure about how strong the material is though, and whether or not it would break if you encountered a stubborn bottle cap. Over the summer I built my first desktop computer, and along with it I bought my first mechanical keyboard. I have wanted to get some cool keycaps for it, but I am always deterred by the price. However, I found this spacebar keycap and made me realize that I can just print my own keycaps! The only thing that worries me about printing keycaps is the texture of the plastic. I’m not sure if it makes for a great keyboard key. The last item I looked at was a phone case. I recently got a new phone for Christmas, and I have been debating on getting a case for it or not. I am reluctant to because the back of the phone is wooden and it looks amazing, I wouldn’t want to cover it up with a case. However, I saw some other people printing some phone cases on Monday that had these cool designs where the back wasn’t a solid piece. That could be perfect for me. While I have no idea what “City of Heros” is, which apparently is the theme of the case I linked, I could hopefully alter the design to something I like.